Established in 1991 by Phil Rowley – Managing Director, A.S.P. Electro-Technology Ltd specialises in the supply of Hazardous Area certified Electrical Equipment and Hazardous Area certified Instrumentation. 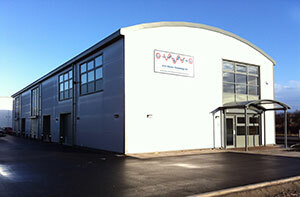 Building on many years of experience within the UK and International Hazardous Area markets, A.S.P. have grown their product range to include Signalling & Alarms, Fire & Gas Detection, Control & Distribution Systems, Heaters & Thermostats, Lighting, Cable Glands & Accessories, Instrumentation, Intrinsically Safe Zener Barriers & Isolators and Telecommunications. In addition, A.S.P. provides a custom build facility for bespoke Control Stations, Control Panels, Motor Starter and Junction Boxes. Our experienced sales team provide technical support on Hazardous Area applications and assistance with product selection requirements ensuring customers receive the most suitable and technically correct products with confidence. Based in Leicestershire, the UK office is centrally located to best service the domestic UK market and benefits from excellent transport links that aid distribution around the UK and indeed the world. In 2005 A.S.P. opened an office in Singapore to provide local sales and technical support to the growing customer base in South East Asia. With offices in key strategic locations A.S.P. is well placed to deliver a first class service worldwide. A.S.P. has extensive experience of supplying customers in the UK, Europe, the Middle East, South-East Asia and North America. Dependent on the final destination and application requirements, A.S.P. supply products with ATEX, IECEx, UL, CSA, CQST, GOST & INMETRO Certification. The philosophy of A.S.P. is to offer a one-stop procurement facility to a broad customer base. To save customers the time, effort and cost of sourcing products individually, by providing excellent product support, selection advice when required for a whole package of products and the best possible customer service. As specialists in the ‘Hazardous Area’ market, we are able to offer our customers the most technically suitable and cost-effective products & systems available. Close relationships with specialist manufacturers allow us to offer a wide range of products and negotiate the best lead times possible. Our product range is extensive, encompassing the full range of Ex protection concepts – and we offer standard off the shelf products through to specially custom built systems. All products and services are backed up by full technical support and manufacturer’s warranty. We are fully committed to providing a first class service and cost-effective procurement path for our customers. You will always find us reliable, friendly and easy to work with. With the diversity of applications and certification requirements to meet, A.S.P.’s Quality Assurance System ensures that each part of our service from quotation to dispatch, meets exacting quality standards. Certification of products and their correct use in Hazardous Areas is an important safety and legal requirement. All products and paperwork supplied by A.S.P. are issued with the certification or approval from the appropriate certifying body. We are a ‘Life Safety’ company. Each certified product supplied has the necessary certification label attached. Hazardous Area Certificates, Special Conditions of Use and, where appropriate, Installation Instructions are packed with each product before it leaves our Dispatch Department. All products supplied by A.S.P. are manufactured by ISO 9001 approved and accredited companies.